I write what I want but I lazy sometime. So be patient and you will enjoy what i write! Not many know that i already move my blogging to vlogging now. 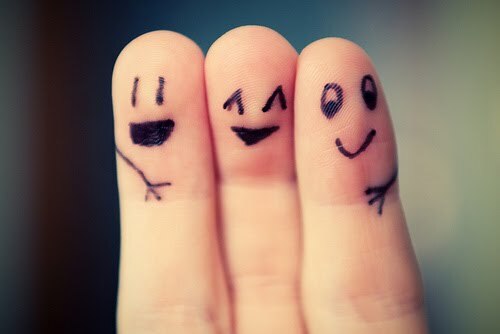 I trying new platform to seebif i can more viewers then my blog which half dead. Do visit my youtube page to watch my vlogging. Videos are upload twice to three time a week. This will be my favourite topic. Want know why? I love casual sneakers. I lost count the amount I buy all over the years. I not sure when I start collecting them but I just like to collect them. Usually those I buy are limited edition or have the design which I find interesting or pleasant looking in my eyes. I have some which I yet to even wear them but they say the more the merrier. I always wore sneakers everywhere I go. If I do it for work, I will wear it too but too bad I need to wear smart shoes for work. I always match sneakers with a nice smart office blouse with a smart casual shorts and a nice necklace to go with it. Look elegant and comfortable to wear in this type of weather. If I feel cold , I will pair it with a blazer or cardigan. You may ask what is my favourite sneakers. 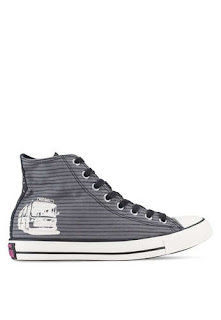 Mine is Converse. I love how they have lots of colours and has low and high cut shoes. I always love high cut shoes. They are high enough to cover my ankle which can get cold sometime. 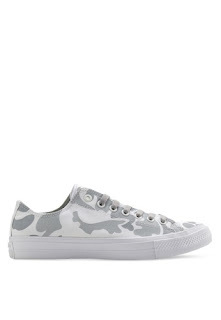 I have chosen 3 of my favourite sneakers on Zalora. 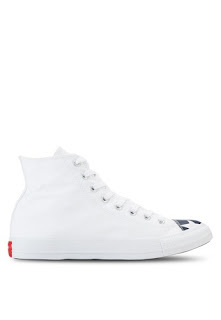 The first 2 is high cut as all of you know I like high cut sneakers. The 3rd one is those army style pattern which look nice to my eyes. All 3 can be wear with jeans, shorts or even skirts. A lot don't know or realise that you can wear sneakers with skirt. I myself wasn't that sure if they look nice on skirt. But after seeing girls wear it with skirt. It does look nice. Casual sneakers look nice in even with a smart casual pants. Except that don't wear it to office or to a dinner. All 3 design can be found on Zalora. Yes it so simple. It took me only few minutes to search for them. It didn't take hours unlike we go to the shop try it and spend 1 hour just to decide then didn't buy and then buy others which we don't even want to buy in the first place. I myself lazy to go out and shop sometime as the weather is unpredictable and can rain anytime. So why not just shop online on Zalora for all your sneakers need. Hope can achieve our dream. Mr. Wholly is a seafood stall that sell seafood in bucket. Those famous seafood which they put in a bucket and mix with different kind of sauce. I choose the $69 bucket for 2. It include 1 side dish which i choose truffle fries. 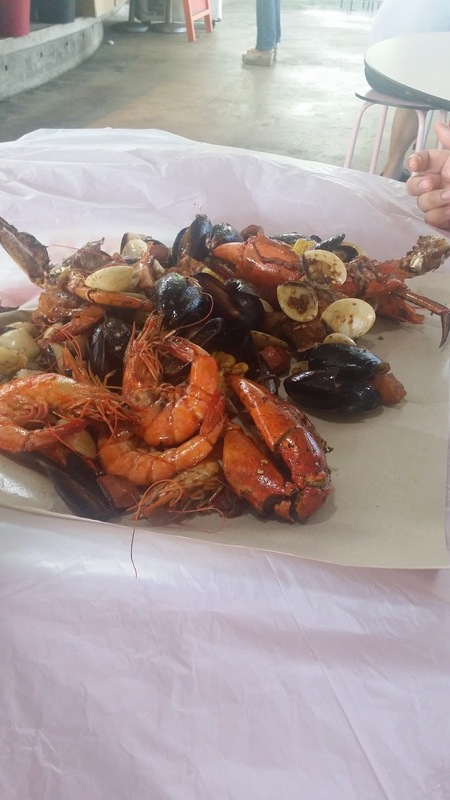 It consists of 1 crab, 8 prawns , mussles and clams. It also have some other ingredients include like potato and even hot dog. It look a lot but it not enough for big eater. The crab itself not that big. It is cook in whatever sauce you prefer in the menu. I choose chilli soy sauce as I like it spicy. The sauce goes well with the seafood. Just that the amount is too little. $69 for the whole thing wasn't cheap. I know seafood isn't cheap but shellfood usually not worth as it has less meat and usually they count by weight. I wouldn't recommend if you want eat there as a meal. But if want for supper or just tea break then it is good place to go and chit chat. I suggest buying some other food as extra incase you feel hungry after eating it. Overall i give 7/10. I dont mind going again but if only it just for supper..
Been months since I post anything. Been busy and I seem to lost interest in blogging. But I am back. This time I going to talk about Pole Dancing. I like to try pole dancing for years but don't have the courage to even join the trial. When I saw on instagram on the pole shorts, decide to buy 1 and use it for other activities but then I tell myself why not I try pole too. Since I been wanted to try it for so long. So I decide to join PoleLab. They have mix classes which I can join. And they are among the most affortable. Other few studio I did ask but the classes are not that affordable or timing is difficult for me. Last week was my first lesson and I enjoy it so much. It was so much fun. The instructor was great. I was super nervous on the day. Even want back up but I tell myself this what I been wanting for years. When I enter the studio , all the nervous is gone. But I feel weird wearing so short shorts. Never I wear so short even at home. When I saw the instructor wore I feel more comfortable. Then when more students too wear similiar it just normal wear for pole. The issue is what underwear should I wore. I do wear a thong but it still can poke out at the top. Maybe I need get smaller type? The lesson started with a warm up exercise. It was similiar to those warm up but with additional stretching exercise. It was fun but still I was nervous trying the pole as I only see but never really try. Can't wait for my 3rd class. Hopely after this I can continue to join more pole classes and one day can do lots of tricks. Today we’re announcing that after 1.5 years of operation, we will be shutting down our Singapore Service, Sold.sg, on July 21, 2016. We’re proud of the community that rallied around Sold.sg and are inspired by the incredible feedback and discovery that came from it. While it’s sad to say goodbye to Sold.sg, we’re eager to put our hearts to exploring more about e-Commerce. Sold is still operating in Malaysia and Indonesia. You are more than welcome if you got a minute to visit us at Sold.my & Sold.id. Thank you for supporting Sold.sg and contributing feedback. We hope you all enjoy the unique experience of FUN into shopping. - Sold.sg Team - "
Wasn't shock that they end up closing down. Just 1.5 years ago I attend the launch and now it closed. Guess they don't make enough to survive. I already knew this type of business dont last that long. Sad for the workers who need find new jobs. I not sure if many of you have heard of them. They have review lots of time. On blog, websites even in the news. Overdose orginate from Johore, Malaysia. They started at Kilang Bateri. A place near Angsana in Johore. The place was once a real battery factory but closed and turn into a lifestyle hub full of cafes, boutique and even music studios. Ooriginal bring it to Singapore cause they saw how popular the drinks has become. In Johore alone there few store they open other then it original outlet at Kilang Bateri. Ooriginal is located at East Village which is at Bedok corner. Those who know the famous halal dim sum restaurant should know where is East village as it just beside. It is located on the first floor inside the mall. Nearest mrt station is Tanah Merah. During fasting month. They open another store at Ramadhan bazzar at geylang serai. Located just behind of Tanjong Katong Complex. 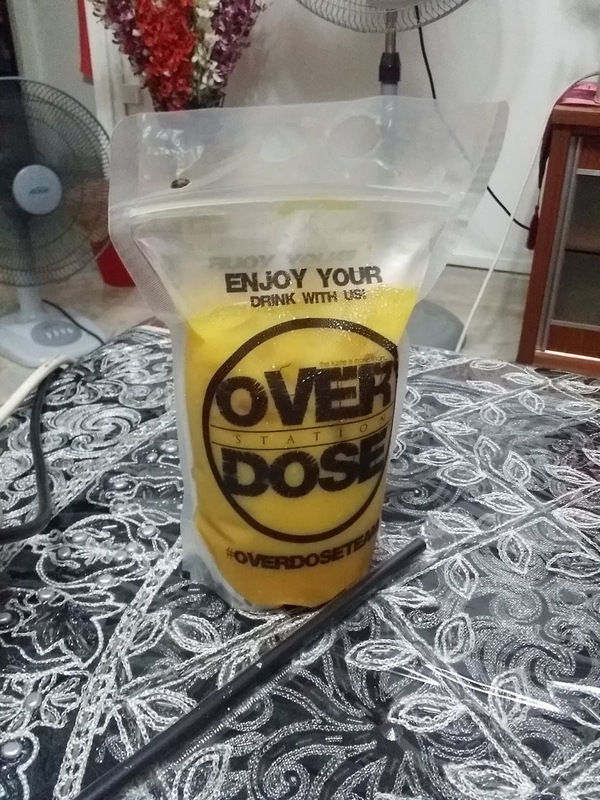 The drink cost $5 per packet. There atleast 5 flavours available. The packet is very durable as there a ziplock to prevent any spilage. If you buy it in Johore it is only RM5 but it far and you need spend lije few hours to go. Although it kinda ex at $5. It enough for 2 person to drink. I like the berries and mango drinks. I not fan of chocolate but if you are, you sure love it. By the way if you get 2, it $9. $1 cheaper. But at the bazaar it still $10 for 2. The discount only at the east village store. All will be discuss over email or meet up! No part of this website may be reproduced without express consent.. Awesome Inc. theme. Theme images by latex. Powered by Blogger.